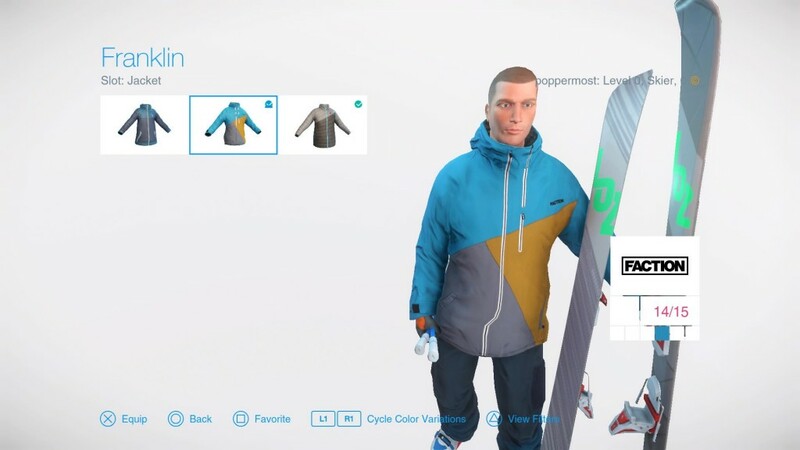 Those of you who joined the SNOW Early Access Beta on PlayStation 4 received the Founder’s Pack, a bundle of over 22 exclusive or discounted clothing, equipment and unlocks. 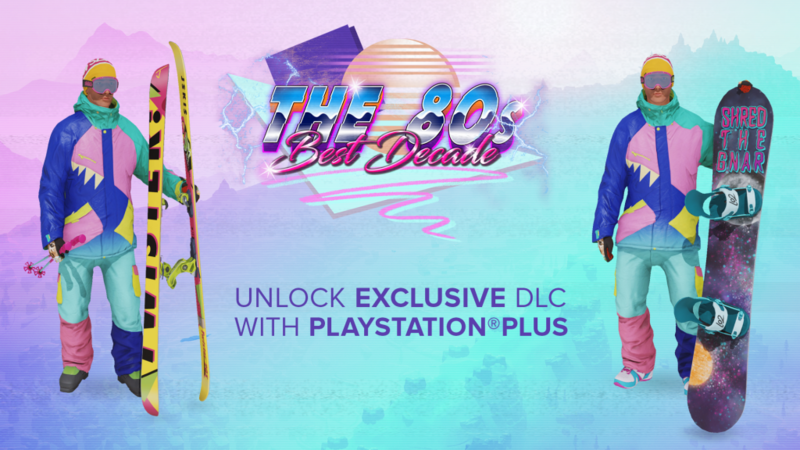 If you are also a PlayStation Plus subscriber, you will be entitled to the PS Plus Bundle that includes an exclusive outfit dedicated to 80's mountain fashion. We've received a few questions regarding the two DLC and where to find them, so we've put together this brief guide. When you start the game for the first time you will find the Founder’s Pack waiting for you in your Inventory, located in the Store Menu. Navigate between each slot and you'll find the various Founder's Pack items. 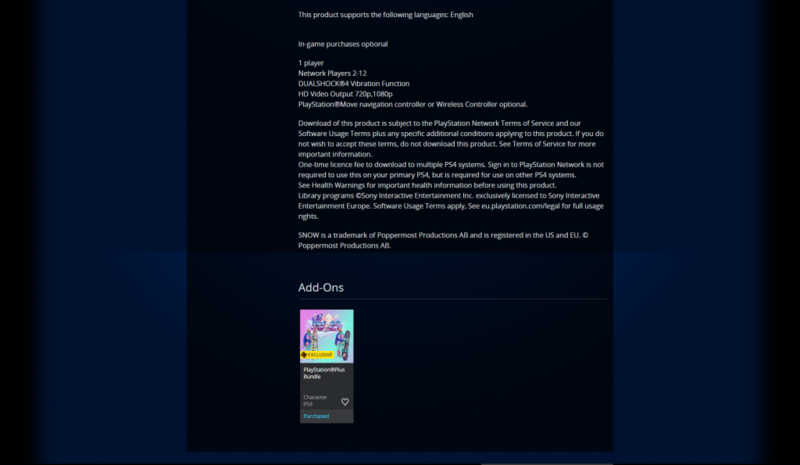 The PS Plus Bundle, however, needs to be activated via the PlayStation Store. 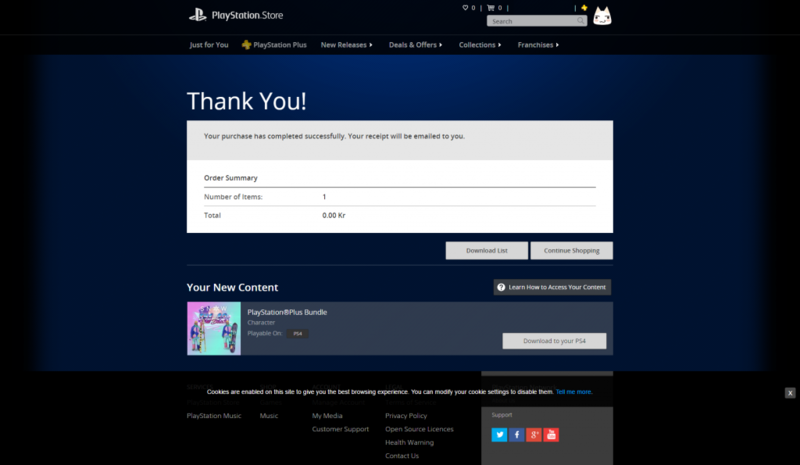 Here’s how you do it (this can also be completed while on your PlayStation 4, and should have similar steps). 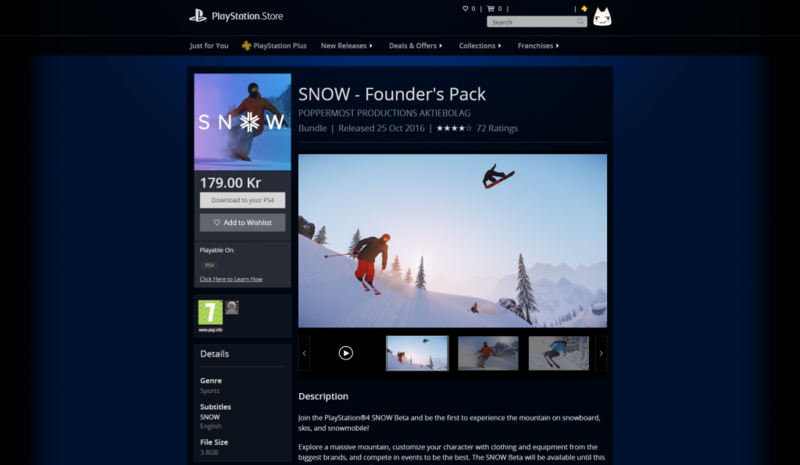 First, navigate to your region’s PlayStation Store and and search for the SNOW (Beta/Founder's Pack) product. Once on the SNOW product page, scroll down to view Add-Ons. Select the PlayStation®Plus Bundle, add it to your Basket, and Checkout. Follow the steps to Order & Pay, and voila, next time you boot up SNOW you should see the PS Plus Bundle in your inventory! There is one thing, I'd be super hyped about... but I think it's actually hard to do: Make the characters look better ._.